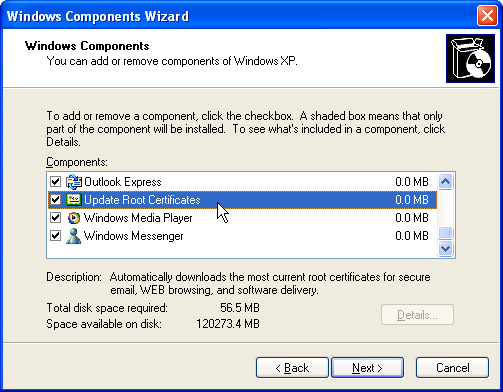 To use versions of Messenger including and after 4.7.2005 on Windows XP, including MSN Messenger 5, 6, and 7, there are several configuration changes that need to be made to the default Windows XP installation to avoid an authentication error (80048821). Escargot’s server uses TLS1.0 with the TLS_RSA_WITH_3DES_EDE_CBC_SHA cipher as the best security/compatibility combination. Unfortunately the default settings in Windows XP have SSL2 turned on, which won’t allow Messenger to use TLS. It is also recommended to turn off SSL3.0 as it is considered insecure. 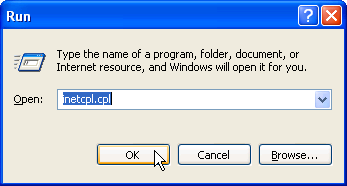 To change this, click Start, then Run, type or copy/paste inetcpl.cpl into the textbox and click OK.
Go to the Advanced tab, scroll down to the bottom of the list, uncheck Use SSL 2.0, Use SSL 3.0 and verify that Use TLS 1.0 is checked. Then click OK. If the TLS 1.0 option is missing, you will need to install a newer version of Internet Explorer, which Windows Update can install for you. For authentication to function, your computer’s date and time need to be reasonably accurate. You can double-check the computer’s date by double-clicking on the clock in the corner of the taskbar. Be sure to verify the year. If you receive a The webpage cannot be found message or a blank page, you should ready to connect. If you receive an Internet Explorer cannot display the webpage message, verify SSL2.0 is off as per above and keep reading. If you receive a There is a problem with this website's security certificate message, continue reading. Due to server issues, you may need to refresh repeatedly until you get a correct result. Press F5 on your keyboard or choose the Refresh button in the address bar to reload the page in Internet Explorer. If you receive a The webpage cannot be found message or a blank page, you are ready to connect. If you receive an Internet Explorer cannot display the webpage message, there may be a network problem between you and the Escargot server. 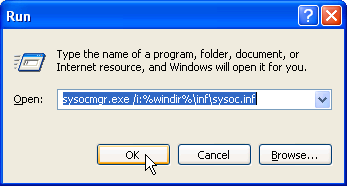 Click Start, then Run, type or copy/paste sysocmgr.exe /i:%windir%\inf\sysoc.inf into the textbox and click OK.
Scroll down the bottom of the list and verify that Update Root Certificates is selected. If it is not, select it and choose the Next button to install the option. 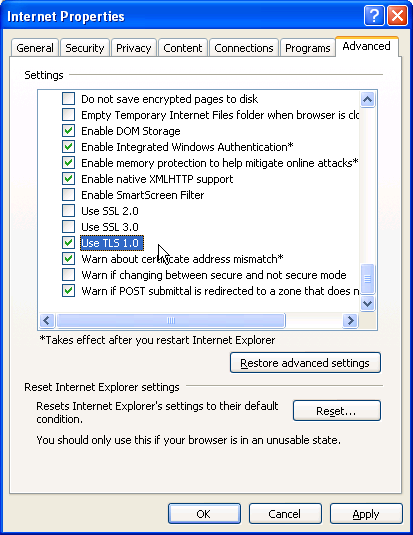 The update certificate task runs in a Windows service and runs periodically. You can still try signing into Messenger as you wait. If you receive the expected result in Internet Explorer (the webpage cannot be found message on the web page), you should be able to connect, but it may take multiple tries. 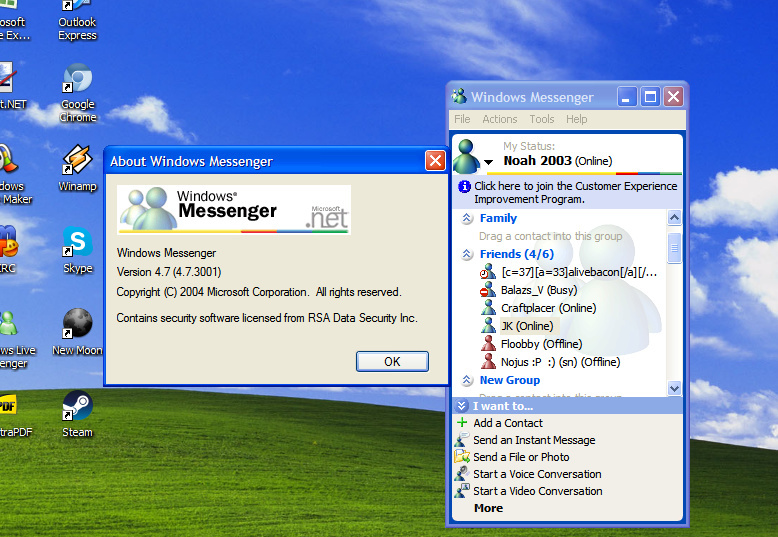 Can't sign into MSN Messenger / WL Messenger? A post was split to a new topic: Windows Messenger 4.7? At least I don’t have to make a topic with this redundant info. Thank you @TReKiE about making this topic. it helps to know what can be done about it and why it’s happening. Thank you! A while ago I tried to use this, I asked in the forum but anything worked. Thanks! I’ve run through this entire list, and yet I still cannot connect. I know I’m entering my details correct. Is there anything else I can try? Try Spamming Enter on Login button 2 times and just press Login and wait it login, works for me. Also, if certificate still not work. You can try download this file to get all certificate installed. The IE certificate warnings are mismatched addresses because when I disable warnings when certificate addresses mismatch, IE just 404’s every time but MSN still doesn’t connect. You need Windows Messenger 4.7.0105 or 4.7.300x+. I can assure that, as I tried it on Windows XP and it worked. Yeah, I going to post MSN 4.7.3001 to internet if anyone want to download. (this one pre-installed on Windows XP setup).